Gov. Neil Abercrombie opposes participation by a Christian group in a court case to defend state marriage laws that restrict marriage to a man and a woman. But Loretta Fuddy, his director of the Department of Health, says the Hawaii Family Forum should be included in one of the nation's most important cases. Star-Advertiser. A spokesman for Sen. Daniel Inouye said there’s no truth to an anonymously-sourced KHON report that the senator was hospitalized in Hawaii this weekend. Civil Beat. 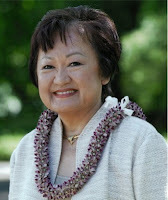 Senator Daniel Inouye's office says he returns to Washington, D.C. today and is perfectly healthy. KHON2. Hawaii's doctor shortage has long been a problem. But there is now hard data that show just how severe the shortfall is. According to the report findings from the 2012 Hawaii Physician Workforce Assessment project, the shortage is predicted to only get worse. KITV4. The Dalai Lama offered his self-deprecating humor and infectious laughter to 9,000 people at the Stan Sheriff Center on Sunday and revealed that, in fact, he does not smile all the time. Star-Advertiser. The Dalai Lama received the gift of a koa paddle not once but twice on Sunday, but in very different arenas. Civil Beat. Hawaii residents will have a chance to safely dispose of expired or unused prescription medications at locations statewide. Star-Advertiser. The U.S. Pacific Command and anyone worried about North Korean missiles pointed at Hawaii were no doubt breathing a sigh of relief Friday after that country’s latest attempt to fire off a rocket or test a missile fizzled. Pacific Business News. Hawaii was ranked 46th best - or 4th worst - state in a report entitled Rich States, Poor States, released this week by the American Legislative Exchange Council. Hawaii Reporter. If Oahu's larger credit unions are unwilling to share compensation data, they could lose all or a portion of their property tax exemption, according to Ann Koba­ya­shi, budget chairwoman of the City Council, which next month will consider whether to overhaul the city's exemption system. Star-Advertiser. 190 Kea‘au houseless residents are petitioning Governor Abercrombie to grant an extension on tonight’s planned ‘sweep.’ Hawaii Independent. Consultants hired by the state warned that there are more boulders above Kalihi Valley homes that could come crashing down. Meanwhile, residents in about 9 homes are being told to stay away or enter at their own risk. Hawaii News Now. 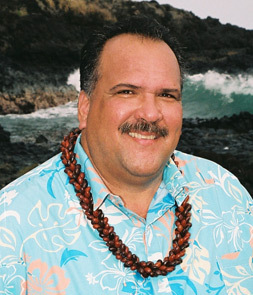 Loans from OHA help Hawaiian firms thrive. Star-Advertiser. The state is granting permission to continue the Haliewa Farmers Market through the end of the month. Hawaii Public Radio. The state Senate last week unanimously passed a bill that would establish a special district in the city for companies wanting to advance space exploration and even settlement of other planets. Tribune-Herald. The community is getting its first glimpse at three possible alignments for the Saddle Road extension. West Hawaii Today. Maui County workers have completed rebuilding the Hanawana Land Bridge, enabling vehicular travel for some 40 stranded residents. Star-Advertiser. Chief Justice Mark E. Recktenwald has appointed Adrianne N. Heely as judge of the District Family Court of the Second Circuit for the County of Maui. Maui Now. Hawaiian Commercial & Sugar Co. is offering new options for Maui residents to learn - in advance - where and when sugar cane harvesting will happen. Maui News. The state Department of Health Clean Air Branch has officially extended its ban on backyard burning of yard and household trash from Oahu only to all the islands. Maui News. Kauai Mayor Bernard Carvalho Jr.
A series of Kaua‘i County Council budget review briefings is generally in line with what Mayor Bernard Carvalho Jr. wants in his proposed $161.2 million operational budget for fiscal year 2013, the mayor said. Garden Island. More than 650 people crowded into a fundraiser and dinner Saturday night to benefit a plan 35 years in the making to build a Kaua‘i Philippine Cultural Center. Garden Island. The Sheraton Kaua‘i Resort has announced the completion of its 15-month revitalization project totaling more than $16 million in additions and renovations. A grand opening is scheduled in June. Garden Island. This fall, Molokai High and Middle School students who ride the bus daily may need to figure out another way to get to school. Molokai Dispatch.